We offer a safe, affordable manufactured housing community within Flint Township. 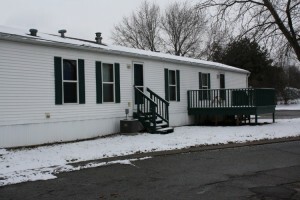 Our mobile home’s provide clean, comfortable, safe housing for your family. Within walking distance you will find Home Depot, Walmart, Sams Club as well as a few restaurants, a grocery store, gas stations and much much more. Flint Township is a great place to live and work. Give us a call at 810-877-4000 for home information or stop in at the Valley Meadows Village offices. If you would like someone to follow-up with you simply use the contact form on the Contact Page. We look forward to welcoming you into our neighborhood! Valley Meadow has evolved into quite a nice quiet property. Many of the homeowners are older and retired, while there are still some younger families mixed in. Generally all the homes are occupied, but newer homes are being moved in and homes become available. If looking for a place to stay, we almost always have a home available, ready to move in. We will show you the available homes and talk with you about the process to move in. We believe in keeping things simple, we want to help you find an affordable home that fits your budget, and also fits your lifestyle. Typically, homes start as low as $380 per month up to $600 per month, depending on the particular home. All homes are served by Flint Township for water and sewer.